The mares and foals can enjoy some sun today! Hills\' foal is one week old today. He is a nice and lively colt and is in the big paddock for the first time today. First a little timid, he quickly went off exploring the wide spaces. 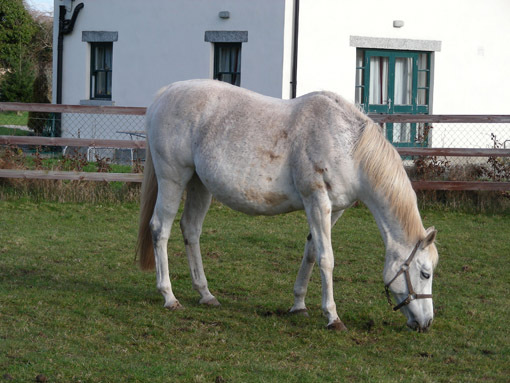 It is particularly rewarding to have a foal by Celtic Swing as he spent a considerable time with us here at Swordlestown Little, before he joined the stallions at the Irish National Stud. Miss Shaan and Wide Range are still keeping us from sleeping. 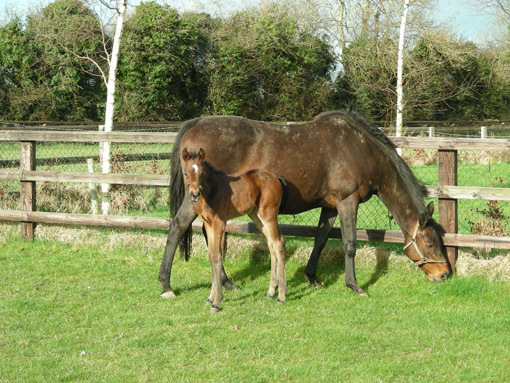 Zaramilla and her colt foal by Proclamation (see below), now two days old, are also enjoying the sun in a small paddock. All being well, Zaramilla and her offspring are going home tomorrow.